Mr Neale is currently the Non-executive Chairman of the recently listed industrial minerals and energy company, Mayur Resources Limited with assets in Papua New Guinea and a non-executive director of Amber Power Limited an Australian, non-listed public company, developing innovative new energy technologies. Mr Neale is also the immediate past Managing Director of New Hope Corporation Limited (NHC). He joined NHC in 1996 as General Manager and appointed as executive officer in 2005 and to the Board of Directors in 2008 until his retirement in 2014. 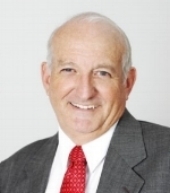 Mr Neale has more than 45 years’ experience in the mining, oil& gas and exploration industries covering base metals, gold, coal, synthetic fuels and conventional oil and gas, bulk materials shipping, and power generation. Prior to NHC Mr Neale spent 23 years’ with Esso Australia and EXXON Coal and Minerals Company. Norman Seckold graduated with a Bachelor of Economics degree from the University of Sydney in 1970. He has spent more than 26 years in the full time management of natural resource companies, both in Australia and overseas. Mr Seckold has been the Chairman of a number of publicly listed companies including Moruya Gold Mines (1983) N.L., which acquired the Golden Reward heap leach gold deposit in South Dakota, USA, Pangea Resources Limited, which acquired and developed the Pauper's Dream gold mine in Montana, USA, Timberline Minerals, Inc. which acquired and completed a feasibility study for the development of the MacArthur copper deposit in Nevada, USA, Perseverance Corporation Limited, which discovered and developed the Nagambie gold mine in Victoria, Valdora Minerals N.L., which developed the Rustler's Roost gold mine in the Northern Territory and the Ballarat East Gold Mine in Victoria, Viking Gold Corporation, which discovered a high grade gold deposit in northern Sweden, Mogul Mining N.L., which drilled out the Magistral and Ocampo gold deposits in Mexico and Bolnisi Gold N.L, which discovered and developed the Palmarejo and Guadalupe gold and silver mines in Mexico and was previously Chairman of Cockatoo Coal Limited, an Australian coal mining, exploration and project development company. Mr Seckold is currently Chairman of Alpha HPA Limited, a minerals exploration and development company operating in Australia and Indonesia, Planet Gas Limited, an energy explorer with interest in conventional and unconventional oil and gas resources operating in Australia and Santana Minerals Ltd, a precious metals exploration company with projects in Mexico. He is also a director of the unlisted public company Mekong Minerals Ltd.
Mr Werner, holds a bachelor of management from the University of Sydney and has been involved in the mining industry for 20 years. He was a founding partner of PT Gemala Borneo Utama, a private Indonesian exploration and mining company, which developed a heap leach gold mine in West Kalimantan and also discovered the highly prospective Romang Island with ASX listed Robust Resources Limited which was acquired in 2012 by Indonesian business tycoon Anthony Salim. Prior to developing projects in Indonesia, Justin worked as a consultant, leading many successful turnaround projects for blue chip mining companies around the world including Freeport McMoran (Grasberg deposit, Indonesia where he spent 2 years), Lihir Gold (Lihir mine, Papua New Guinea), Placer Dome (Nevada, USA), BHP Billiton (Ingwe Coal, South Africa), Rio Tinto (West Angeles Iron Ore, Australia), Nickel West (Western Australia) and QNI Yabulu refinery (Queensland, Australia). 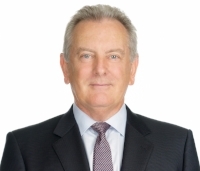 Mr Werner is currently a non-executive director of ASX Listed Alpha HPA Limited. Mr Nightingale graduated with a Bachelor of Economics degree from the University of Sydney and is a member of the Institute of Chartered Accountants in Australia. He has worked as a chartered accountant in both Australia and the USA. As a director or company secretary Mr Nightingale has, for more than 25 years, been responsible for the financial control, administration, secretarial and in-house legal functions of a number of private and public listed companies in Australia, the USA and Europe including Pangea Resources Limited, Timberline Minerals Inc., Perseverance Corporation Limited, Valdora Minerals N.L., Mogul Mining N.L., Bolnisi Gold N.L, Cockatoo Coal Limited and Sumatra Copper & Gold plc. Mr Nightingale is currently a director of ASX Listed Alpha HPA Limited and Planet Gas Limited and unlisted public company Prospech Limited. Jim Crombie graduated from the Royal School of Mines, London, in 1980 with a B.Sc. (Hons) in Mining Engineering, having been awarded an Anglo American Scholarship. Mr. Crombie held various positions with DeBeers Consolidated Mines and the Anglo American Corporation in South Africa and Angola between 1980 and 1986. He spent the next thirteen years as a Mining Analyst and Investment Banker with Shepards, Merrill Lynch, James Capel & Co. and finally with Yorkton Securities. Mr. Crombie was the Vice President, Corporate Development of Hope Bay Mining Corporation Inc. from February 1999 through May 2002 and President and CEO of Ariane Gold Corp. from August 2002 to November 2003. Mr. Crombie was President, CEO and a director of Palmarejo Silver and Gold Corporation until the merger with Coeur d'Alene Mines Corporation, one of the world's leading silver companies, in December 2007. He was a director of Sherwood Copper Corporation until its business combination with Capstone Mining Corp. in November 2008. 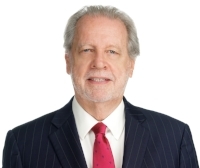 Currently, Mr. Crombie is President and CEO of Odyssey Resources Corp., and a director of Arain Silver and Torex Gold Resources Inc.
Mr. Huang graduated with a Bachelor of Engineering degree from Zhejiang University in 1982 and obtained his Master of Business Administration degree from Zhejiang University in 1998. Mr. Huang started his career in several industrial enterprises and had broad management experiences from serving as the Plant Manager of Wenzhou Tractor Plant to the General Manager of Wenzhou Machinery Industrial Corporation, and as the Vice Mayor of Wenzhou and Executive Chairman of China Perfect Machinery Industry Corp., Ltd. While he was serving as the Deputy Director of the Management Committee of Shanghai Jinqiao Export Processing Zone, he was appointed as a Director of Shanghai Jinqiao Export Processing Zone Development Co., Ltd, a publicly-listed company on the Shanghai Stock Exchange (SSE code 600639) and concurrently the Deputy CEO of Shanghai Jinqiao Group. Mr. Huang was also a former Chairman of the board of Harbin High Tech (Group) Co., Ltd, another publicly-listed company on the Shanghai Stock Exchange (SSE code 600095). 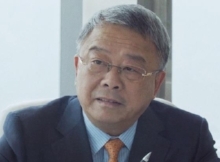 Mr. Huang is currently the Chairman of Shanghai Decent Investment (Group) Co., Ltd, (‘Shanghai Decent’) a flagship company within the Tsingshan Iron and Steel group of companies, and the President Director of PT. Indonesia Morowali Industrial Park. Under his leadership, Shanghai Decent has led in the investments of over US$5 billion in the Indonesia Morowali Industrial Park (‘IMIP’), an industrial park covering 2,000 hectares, and making IMIP the most integrated ferronickel and stainless steel complex in the world. Former co-head of Glencore International AG's worldwide coal division, where he spent 13 years overseeing a range of trading activities including the identification , due diligence, negotiation, acquisition and aggregation of the coal project portfolio that would become Xstrata coal. Former Executive Chairman and founding Managing Director of Cockatoo Coal Limited and current Chairman of Equus Mining Limited and Managing Director of Pacific American Coal Limited. Ms. Xu graduated with a Bachelor’s Degree in Fashion Business & Fashion Design from Instituto Marangoni. Since graduation, Ms. Xu has honed her business acumen, participating in the Shanghai Fashion Week with a focus on marketing, public relations and procurement activities. She is currently an Executive Director of Shanghai Wanlu Investment Co., Ltd.
Ms. Xu has not sat on the board of any publicly listed companies. Mr Edwards graduated with a Bachelor of Commerce degree from the University of New South Wales, is a Fellow of the Governance Institute of Australia, is a member of CPA Australia and holds a Graduate Diploma of Applied Finance and Investment from FINSIA. Mr Edwards has worked for over ten years providing financial reporting and company secretarial services to a range of publicly listed companies in Australia with a focus on the mining sector. He is currently Company Secretary of ASX listed Alpha HPA Limited and unlisted public company Prospech Limited.